It’s great to start reading. But it’s even better to start thinking – and the good news is, this series helps you do both. (And have lots of fun too.) 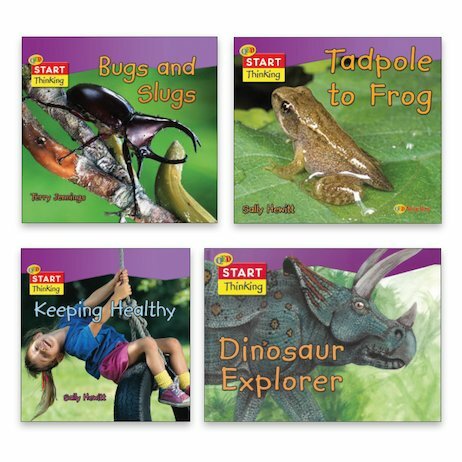 Fact books for curious kids, which help you take a fresh look at your world and train your brain as well. You’ll start by exploring some best-loved science topics. Beautiful photos and simple words keep it all easy and light. Finished? Great! Now it’s onto the smart part: the cool ‘what do you think?’ section. How do froglets hop? How can you tell that a woodlouse isn’t an insect? How can you help your body fight germs? Recap your knowledge and show off your smarts!